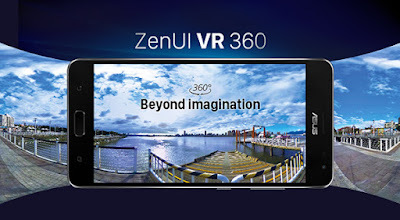 Recently unveiled at this year’s Consumer Electronics Show (CES), the brand new ZenFone AR and ZenFone 3 Zoom are not only groundbreaking smartphones with top-of-the-line hardware: they also mark the debut of ZenUI 3.5, the latest step in ASUS’ continuous search for an even better user experience. Curious? Here’s what’s coming your way! 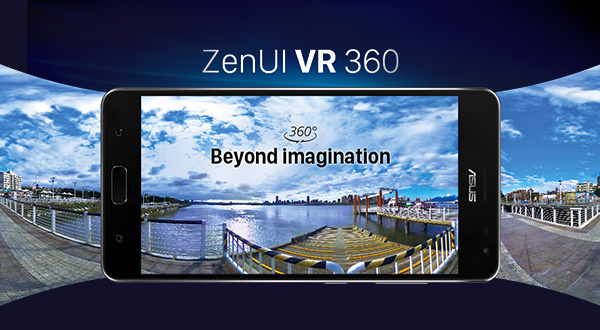 The booming VR trend was the hottest topic at CES, and you can experience it firsthand with our very own ZenUI VR 360. 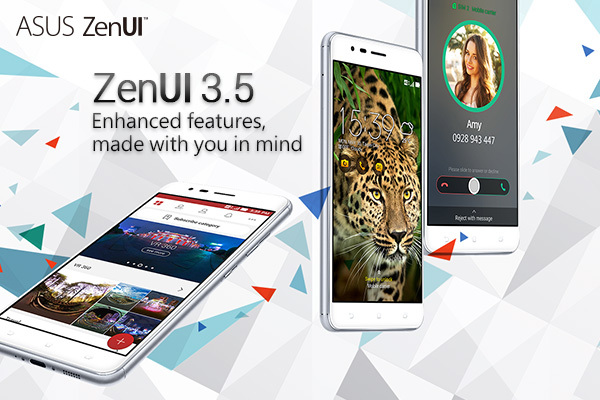 Create, view and share 360-degree content without having to download any third-party app: see life from all angles in your ASUS Gallery, create immersive stories with the 360-degree templates on PhotoCollage, and share your favorite 360-degree photos on ZenCircle. Shoot like a pro, save and view your photos in RAW to have all your memories in rich detail. 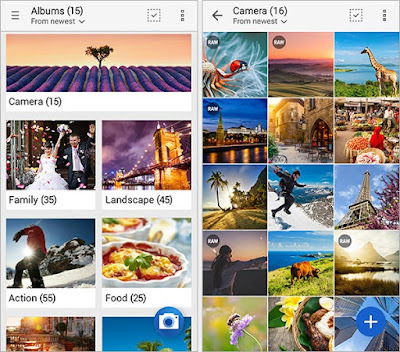 And don’t worry about losing sight of your files, because ASUS Gallery will neatly mark them according to format: quickly find your RAW files at a glance in your thumbnail gallery. Easier to manage, export and edit. Choose your favorite photos from your photo gallery so that each time you wake up your phone, a different wallpaper automatically refreshes on your lock screen. 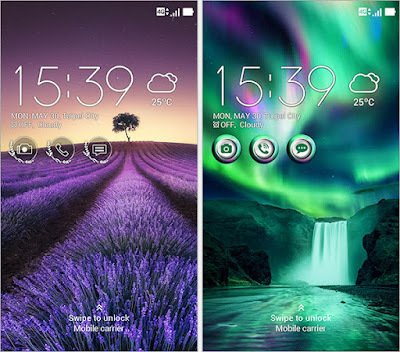 Find new high-quality vivid theme packs on ZenUI Themes. When paired with an AMOLED screen, these themes are sure to become your favorite eye candy! Let your personality shine through with dazzling lifelike colors and high-definition visuals. With ASUS ZenFit, health management is easy as a breeze. 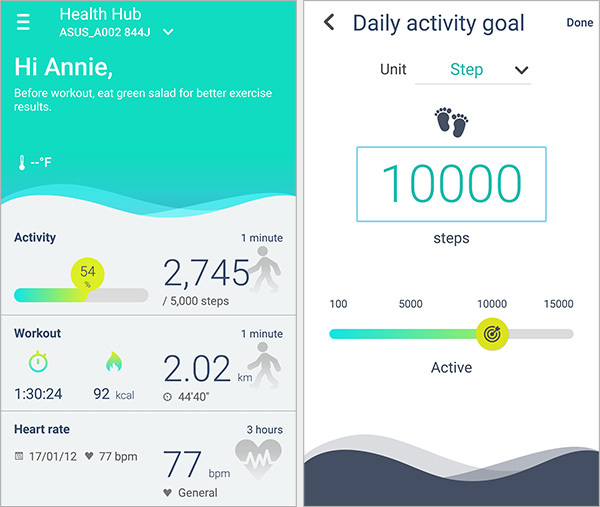 Easily record your stats when you’re walking, running or cycling, and keep track of your heart rate and sleep quality. Get all the information you need from the activity reports, and have a better understanding of your overall health. 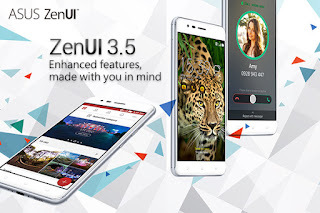 ZenUI 3.5 is not only about giving you a stunning visual design; it’s also about optimizing your overall user experience, enhancing what’s good and working on what needs to be fixed. We’ve worked on the finer details that truly make a difference, giving you moments of delights in your everyday life. Faster, more efficient input: if you generally use your mobile with one hand, you know that holding a somewhat big device can be a bit of a hassle. ZenUI Keyboard allows you to adjust the keyboard size and position for better comfort. 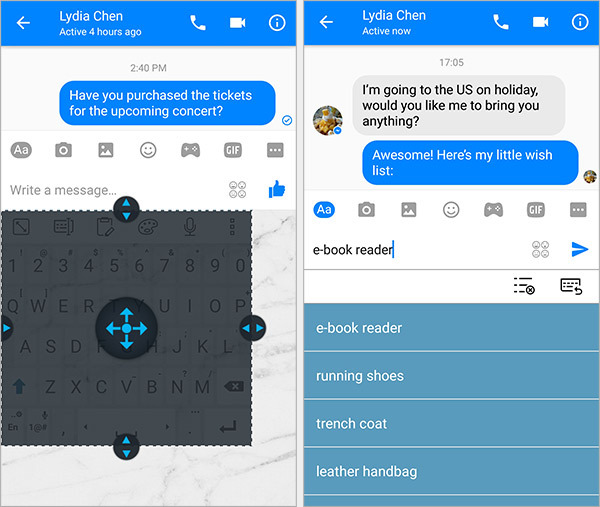 And its Text Editing and Clipboard features provide a faster, smoother experience as well! 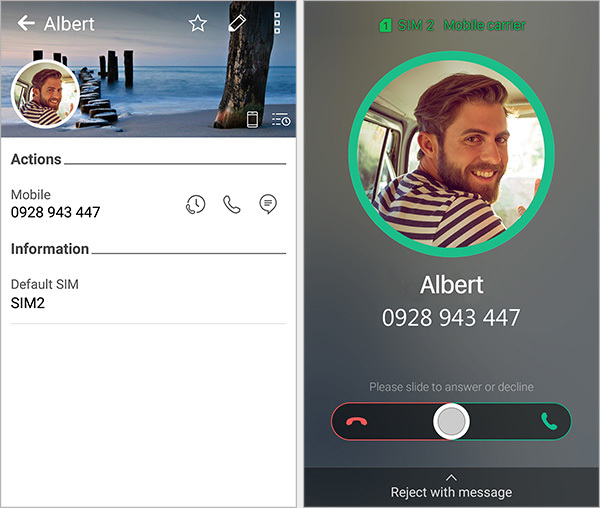 Separate work and play: when using a dual-SIM device for both your professional and private numbers, let ZenUI Dialer & Contacts help you keep things separate. 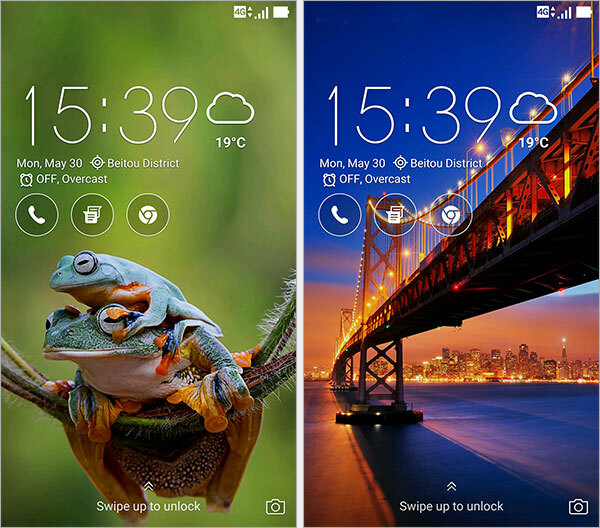 By setting a default SIM for each contact, you can easily draw the line between work and play. 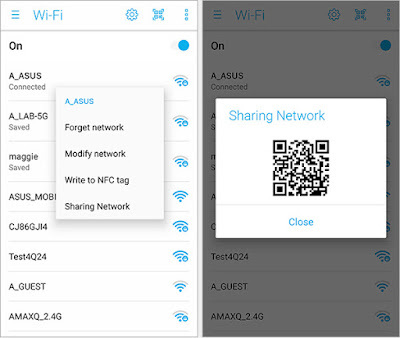 One scan to connect and share: simplify the way you connect to a WiFi network. Now you don’t need to manually select a network and input its password – just use your phone’s camera to scan a QR code and get connected immediately! 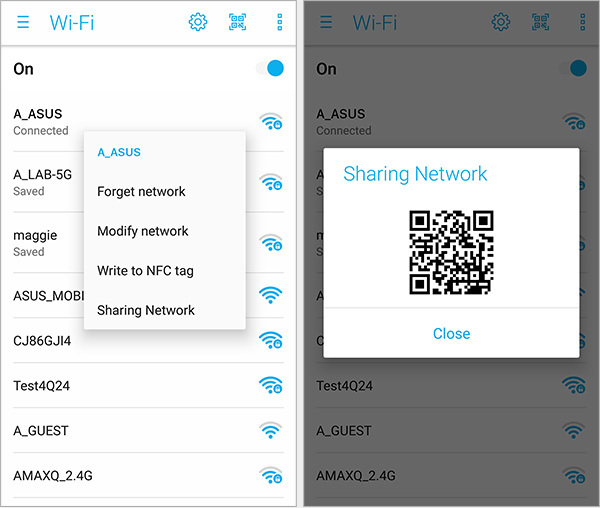 You can also generate a QR code of your own hotspot, and quickly share it to other devices around you.